CalCAPA’s mission is to advance our members’ ability to help economically disadvantaged Californians achieve self-sufficiency by generating quality training and technical assistance, developing and promoting transformative public policies and practices and building awareness and partnerships for a more equitable economy. CalCAPA envisions an abundant world in which people of all backgrounds are self-sufficient, equitably sharing resources, embracing social responsibility and enjoying collective prosperity. 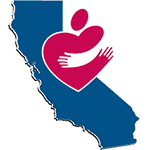 CalCAPA strives to be the premier poverty- fighting membership organization in California where culture and commitment created by our dynamic leadership and innovative staff supports individual and organizational excellence and sustainability.